In order to maintain financial stability in an ever changing industry, healthcare providers need to develop a better understanding of the impact front end processes have on the revenue cycle. With this in mind, let’s take a look at five ways providers can drastically improve office flow and maximize reimbursement by bringing the front end back to front and center. Scheduling a patient is the first and, arguably, most important step of the revenue cycle. Providers should use that time as an opportunity to collect as much patient information as possible, including demographics and insurance. The scheduling process is the best opportunity to discuss estimated patient liability for a visit, paperwork that needs to be completed prior to service, arrival time and so forth. Ensuring that all pertinent information is obtained prior to service will not only improve patient throughput and wait times, but it will also decrease the number of billing and collection errors in the future. Patients continue to become more responsible for out-of-pocket healthcare costs and providers should use this as an opportunity to maximize the amount of revenue collected prior to or at the time of service. Utilizing technology and a Practice Management software to obtain visibility to co-pays and prior balances on accounts allows the office to discuss expectations before the patient arrives so that they are aware and able to provide payment. Effective training for front office team members ensures claims are billed with the correct information, of which will reduce denials and rejections. Instilling confidence and providing the proper tools for team members is integral to the office’s ability to increase time of service collections. If team members are not confident in their knowledge when discussing co-pays or open balances, patients are less likely to pay. It will become more difficult to require patients to pay in the future if they have been allowed to bypass their liability in the past. Your front office team is responsible for setting the financial expectations, but they need to be coached in order to succeed. A strong financial policy should outline the responsibilities of the patient as it relates to co-pays, past due balances, service pre-payments, deposits and insurance changes. This will serve as a beneficial document to detail collections and legal activity expectations in addition to denial information and how they should be handled. The financial policy is also a great place to gain consent for the use of technology that may utilize a patient’s phone number for reminder calls or texts. Further, this document can offer communications regarding billing and payment for services rendered. Having a financial policy in place that has been reviewed and approved by legal counsel is a great tool to refer back to when handling patient disputes. Whether you are contracted with a RCM vendor or perform billing functions in-house, providers should strive to use technology and automate as much as possible. With technology, scheduling and pre-registration processes can be completed with check-in products that shift the majority of the work to the patient. These products allow patients to quickly provide demographic and insurance data, pay co-pays and sign financial agreements and medical consents--all on their cell phone or preferred electronic device! The best check-in products have an interface back to your Practice Management system to allow all the information to get back to your staff without a single phone call. A front-end rules engine, commonly referred to as a “claims scrubber,” should be used to build edits specific to your specialty along with industry standard rules per LCD, NCD, CCI and so forth. These tools allow for cleaner claim submission, resulting in denial reduction, quicker reimbursement and increased revenue. When it comes to the revenue cycle of a healthcare organization, every step of the process is important. However, the front end is a key piece of the puzzle that requires leaders’ attention and monitoring to ensure that the information that is coming into the system is the best it can be. Kate McPherson is the Director of Client Success at Intermedix. 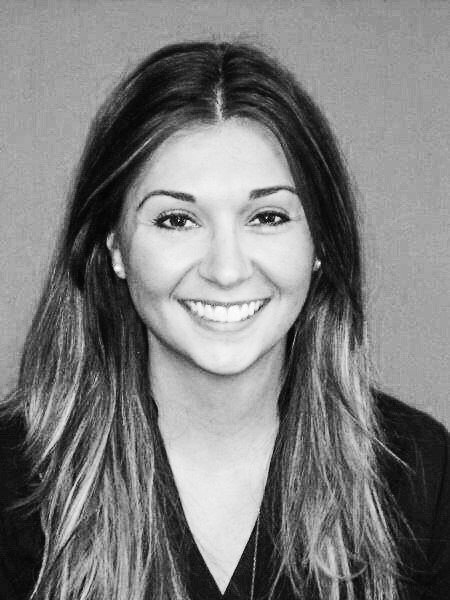 She has more than 6 years of experience in Revenue Cycle Management with a focus on Patient Access and Client Success. Prior to joining Intermedix, Kate held the role as the Market Director of Patient Access at Conifer Health Solutions and was the Assistant Director of Patient Access at Parallon. Kate earned her bachelor’s degree in Business Administration from Belmont University.